In the past months leading up to this event I have been busy creating a variety of pieces ranging from abstract representations to emotional responses to the sights and sounds captured over the course of my project. I hope you can make it to the show. Interpreting the spirit of our community through observation, interaction & artistic expression. My objective is to capture the spirit of Richmond Hill’s inhabitants, no matter their situation or living conditions by observation and recording using my visual art skills of photography, drawing and painting. 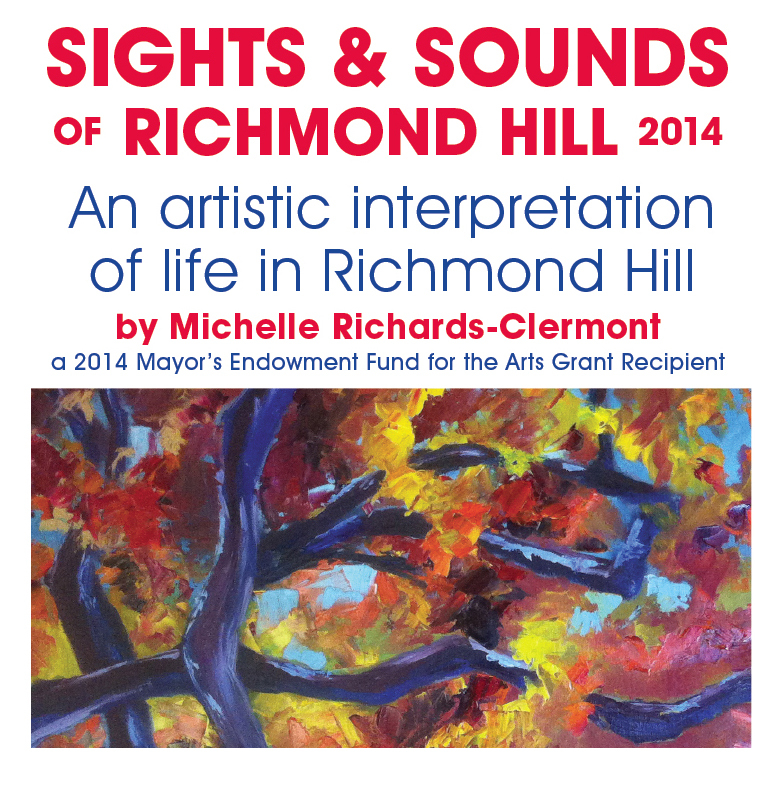 I will be Arting at various outdoor locations in Richmond Hill throughout the Summer of 2014. Want to be a part of this project? Find out how by clicking here!